Mary Delores Deucker passed away on October 9, 2016, in Sparks, NV, while at home surrounded by her family. Mary was born the only child of Oleta May and Leroy Deucker in Alton, IL. She spent her childhood and early adult years in Alton, IL, and St. Louis, MO. 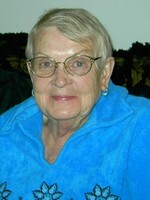 She moved to Nevada in 1971 with her children, and attended Reno Business College, obtaining an accounting degree. She worked at John Ascuaga’s Nugget for over 20 years as a desk clerk and night auditor, and after retiring, continued to work part-time for Anchor Coin at Smith’s, where she met many friends. Mary was preceded in death by her mother, father, and oldest son, Ralph Newton. She leaves behind three children, Darryl Henderson, Marie Henderson, and Dolores Henderson; 8 grandchildren, Christopher, Nicole, Erik, Jonathan, Megan, Jasmine, Jacob, and Matthew; 5 great grandchildren, Terrance, Nylah, Madison, Amarah, and Harmoni; her favorite cousin, Catherine Carrow; and her close friend of over 40 years, Alexander Archie. Many family friends also called her “Mom” or “Grandma”, and she loved each one of them. Mary will be greatly missed by her family and friends. Services will be held Friday, October 21, 2016, at 11:00 am, at Walton’s Funeral Home, 875 W. 2nd St. in Reno. To send flowers to the family of Mary Delores Deucker , please visit our Heartfelt Sympathies Store.